Debbie Kiehl is a senior manager at Coker Group. She has a proven track record in creating an environment of measurable goals and objectives that are defined and tracked to ensure organizational success. Ms. Kiehl is experienced in healthcare practice management, and has proven to drive physician revenue and exceed budget goals. 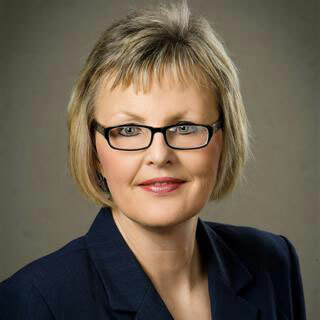 Her focus includes physician practice assessments, revenue cycle analysis, revenue cycle management, electronic medical record transition, staff development, physician recruitment, operations management, project management, provider-based clinic attestation compliance, and rural health clinic base certification and compliance. Ms. Kiehl is a highly-accomplished practice administrator, a Fellow of the American College of Medical Practice Executives, and a Certified Revenue Cycle Representative through the Healthcare Financial Management Association. Served in healthcare practice management where she is a creative problem solver with the ability to drive physician revenue, resolve conflict, improve morale, and consistently exceed budget goals. Applied experience in project management and achieves financial turnaround. Gained a solid background in planning and executing marketing plans. Employed knowledge of organizational policies, procedures, computer and healthcare administrative systems, and objectives. Built a proven track record in developing relationships with colleagues, physicians, customers, and staff at all levels.